Play the Best of British Pay by Phone Slots Game & Win up to £250,000! 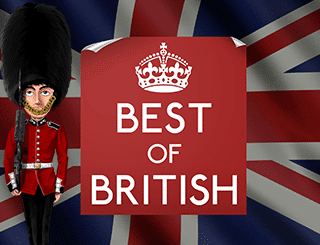 Best of British is a 5 reel, 15 Payline pay by phone slot at Slot Fruity powered and developed by Nektan, which already gives players an idea of what to expect: Seamless playability, superb graphics and sound effects, and – of course – the possibility to win a massive real money jackpot online! Like everything British, players get to decide how big, or how small, they’d like to go and as such, gamers can spin to win from as little as 1p per payline! As you can easily imagine, the overall theme of this phone slot game is the United Kingdom itself. Thus, all the imagery creates a truly distinct British atmosphere – from the stereotypical Bobby on the Beat to the Bulldog, double-decker Bus, Tea, and naturally – Fish & Chips! Pay by Phone Slots fans will find this the ideal game for them as it’s all about quick spins and slots for fun – join now for your share and who knows, you might be in for a bloody marvellous £250,000 jackpot win! One of the best pay by phone slots UK features of this game at Slot Fruity is that you choose how much to bet, and how many of the 15 paylines you want to activate. You can bet from 1p up to £50 per spin, and as with many other similar mobile slots, if you do not want to be bothered with clicking all the time, you can just activate the Autoplay feature to do the spinning for you! As you can see, Best of British is a great pay by phone slot to start your adventures in the world of real cash online casino gaming. 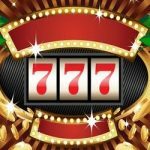 It’s available on all models of iPhones, iPod Touch, iPad and Android Slots devices, and you can test it out and play for free using welcome casino bonuses at Slot Fruity, before you start wagering for real money. British are known the world over for being cautious and slightly conservative, which is a good trait to have when gambling online. At Slot Fruity, play slots for fun, stick to your limits, and always know when it’s time to cash out! Besides, pay by phone slots allows players to top up their accounts anytime, and anywhere, so you’ll never be more than a few clicks away from your real money Best of British fix!